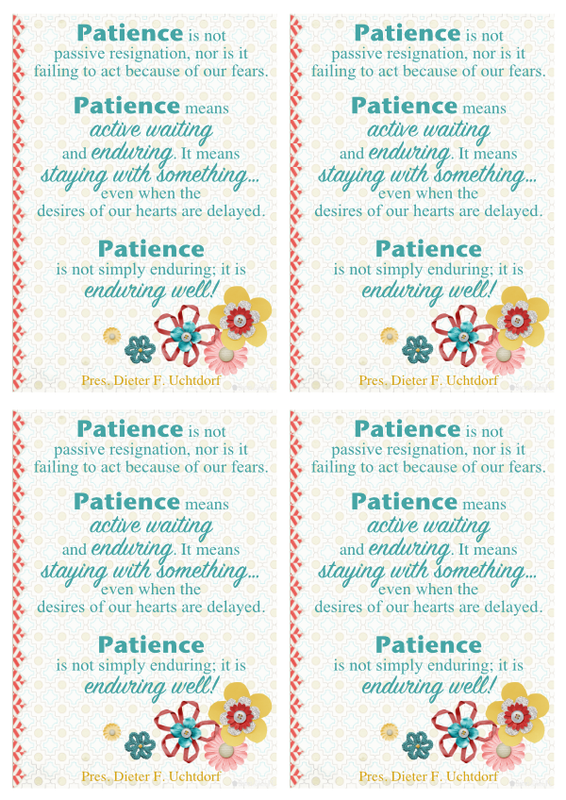 This month's Visiting Teaching message is all about patience - one trait upon which I have much improvement yet to make! 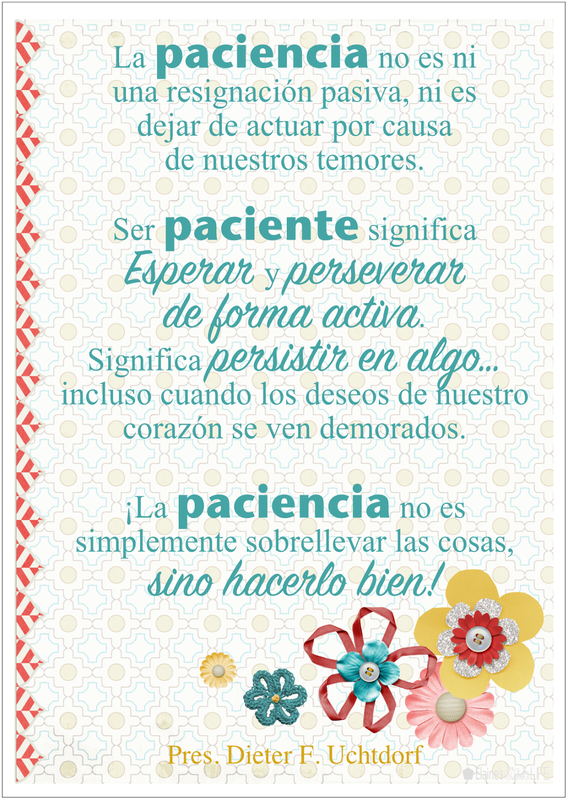 I remember being told in a talk once to be careful when praying for patience, because you may not get what you expect. Rather than giving you an instant gift of patience, the Lord is more likely to send you trials that test your patience, thereby increasing your patience through experience. So I thought about how this applied to my current situation, and realised that it is in my attitude to my circumstances that I can 'endure well', rather than sitting around feeling sorry for myself and 'failing to act', I can still find ways to play an active roles in my family, community and church, even if they are different from those I am used to. 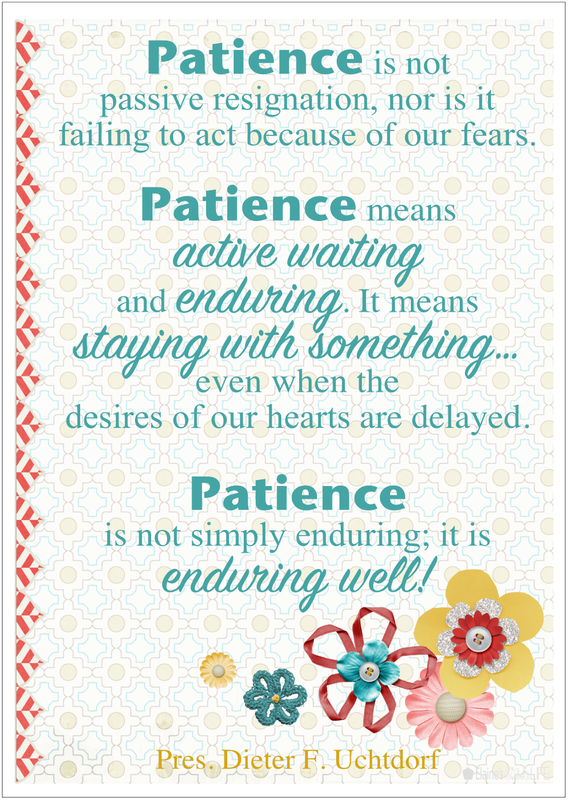 Click here to download the pdf of this month's Thought for the Month. 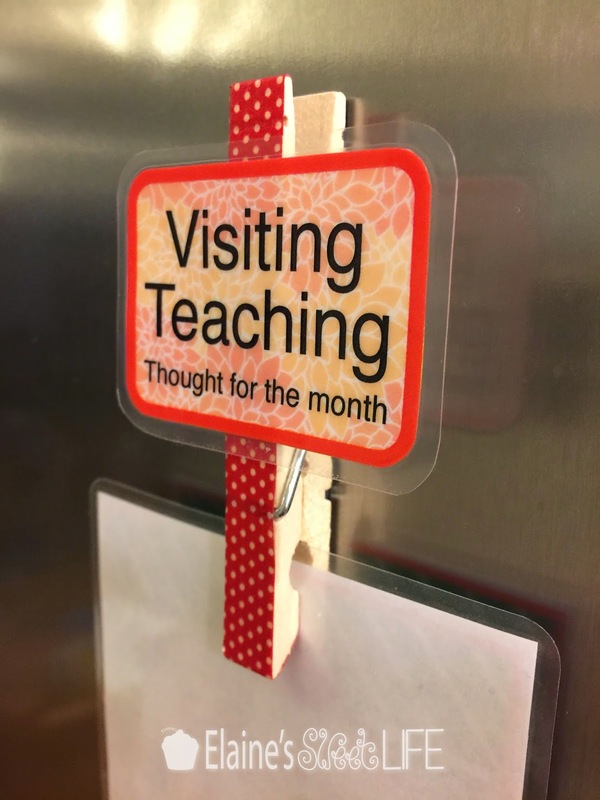 If you would like to make fridge magnet pegs to display your Thought for the Month, click here for the printable and tutorial. Thank you! I just love that you are doing this. I know I've enjoyed having it on my fridge to ponder upon throughout the month and I hope that the sisters that I visit do as well. Again thank you! Pacience is something not easy to get but if we truly believe in something, we will get it. Love your handouts and insights. Bless you!